The solid reality about dropping pounds is that you just can’t circle a particular spot on your body and burn away the fat. It takes active full-body training so as to burn the fat, and you’ll see the effects all over. You should concentrate on strengthening and toning workouts on one muscle area to isolate a problem spot and define those muscles—which, when coupled with cardio, will give you the best results.Simon King, who is a personal trainer and owner of Cre8 Fitness gym in London says that poor diet, consuming whole foods that don’t inflame your body is the solid starting point.He also adds that overlooking the back muscles in training which can sometimes be the reason with too many guys overtraining arms and chest,is the second point. Men tend to train the muscles they can view in the mirror-which can waste the muscles in the back. Most of them always want to include compound movements intotheir training routines,such as squats,pushups,pullups and deadlifts. He explains the third point as a lack of high-intensity cardiovascular training can also be the pitfall since you require a multi-approached drive to shift a stubborn fat storing area, and this form of training gears up fat burning.Maintain your training intensity high and stay steady when it comes to your workouts. You could also get a training partner if this is where you struggle. You can use a stopwatch so as to time rest and record your training so that you can ensure that development is taking place. Otherwise, you could also get a trainer. Here are five quick exercises that will aid you burning that stubborn back fat. Do ten deadlifts after which you need to perform ten push-ups for ten total rounds. Don’t stop for rest. King says that you need to note your time after you complete 200 reps and then aim to beat that time during your next workout. Make sure you keep safe and correct method throughout. – Deadlifts x 10. The beginners need to use 50% of bodyweight on bar whereas intermediate lifters should use 75% of body weight. On the other hand, advanced lifters should use 100% of bodyweight. Do the paired exercises as supersets holding full range in your movements and also a controlled pace. King says to think about reducing down on the eccentric phase for around 3 seconds, on each exercise. Perform as many rounds as possible within 15 minutes. You can rest only when needed. Your points are the total reps performed. Hence if you do four full rounds, then you have a score of around 152 (38 reps x 4 rounds).You need to try to improve your score during each workout. 1A. Front Squat x 6. Around 75% of your body weight should be on the bar. 2A. Back Squat x 10. Here again, 75% of your body weight should be on the bar. 2B. Alternating Renegade Row x 16. Around 10-15% of your bodyweight per dumbbell is allowed in this. You can complete the following in the same order without rest. Every time you do it, just check if you can beat your own time. King says that six minutes is a fixed benchmark. 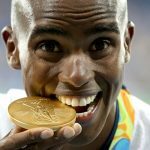 King explains that the Solomon challenge is not for the weak hearted but is always the best way to burn fat and boost your exercise intensity. He also adds that you need to make sure your chest touches the ground to actually turn this workout into a push/pull routine when you are doing the burpees. This gives your body a good balance. King says that the aim of this exercise is to achieve 150 kettlebell swings coupled with a Tabata circuit. The combo will light your glutes, hamstrings and back without “hitting” your body too badly. King recommends using a watt or assault bike, for the circuit portion. However, any gym bike will serve your purpose. – Kettlebell Swings x 50. Beginners should use 16kg KB whereas the intermediate lifters may use 24kg KB. For the advanced lifters, they can use 32kg KB. – Bike Sprints 4 x 20-seconds. You can do it as fast as you possibly can, with around 10 seconds rest in between. 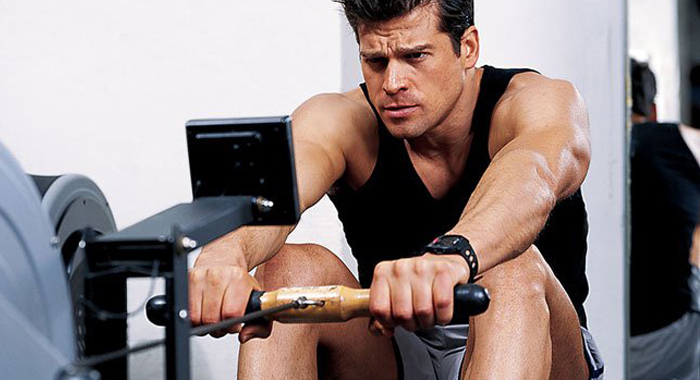 – Bike Sprints 4 x 20-seconds with 10 seconds pause. Do three rounds with 2 minutes pause in between.King mentions that this workout is not a race against time. Hence you need to concentrate on strengthening the right muscles, working them to exhaustion so as to develop the ones across your back. This workout pinpoints your core and back. 1. Bentover Row x 10. Opt a heavy weight so that ten reps are difficult. 2. Straight-Arm Knee Raises x 16. You can use dip bars for this. 3. Single-Arm Row x 10 each side. Opt heavy weights so that ten reps become difficult enough. 5. Cable Rotations/Wood Chops x 8 each side. Get a heavy weight so that you can feel a pull through your obliques as you do the exercise. Stand with feet wider than shoulder-width apart near to a cable tower. Place the handle attachment at chest height. 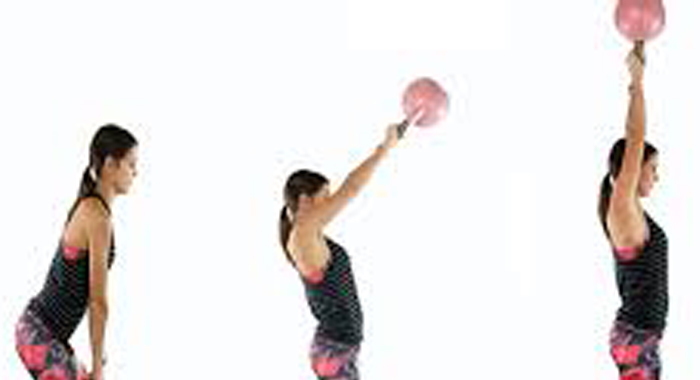 Now, interlock your hands around the handle and turn your torso while keeping a stiff arm as you stretch across your body. Now you may slowly return to the start.